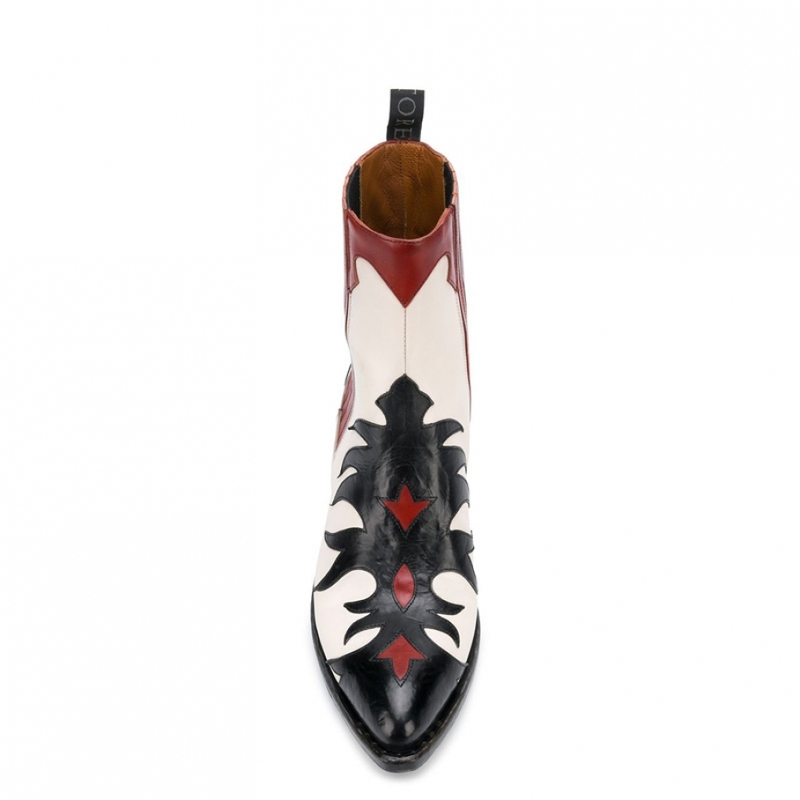 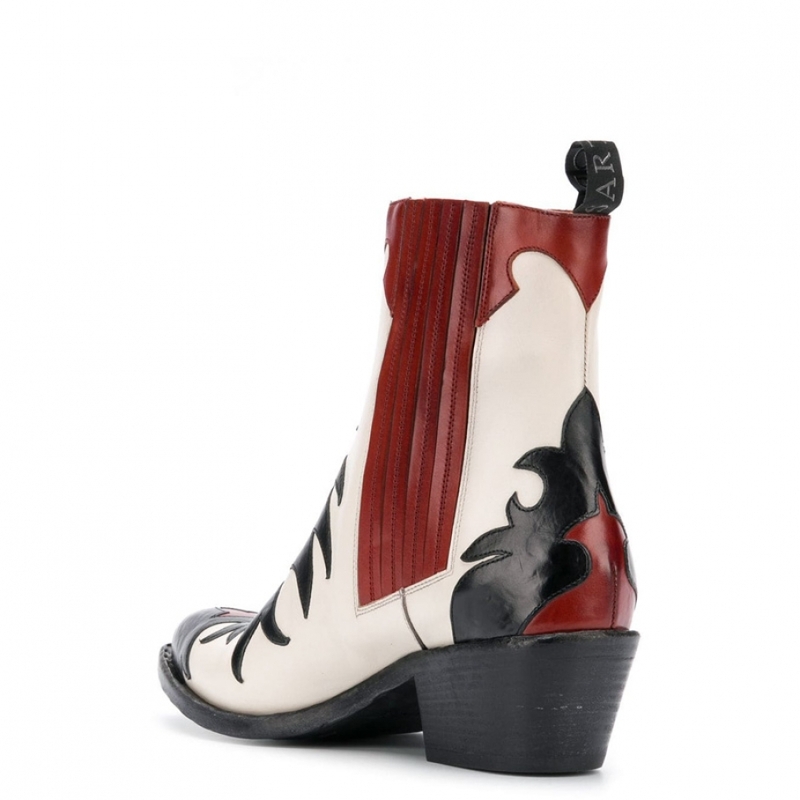 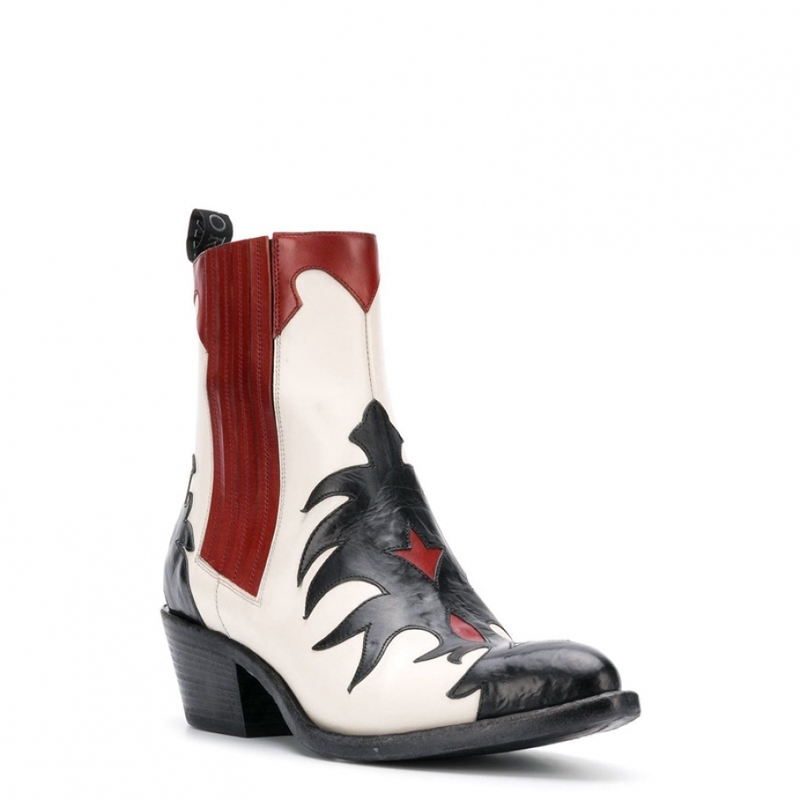 Multicolor leather western boot from Sartore. 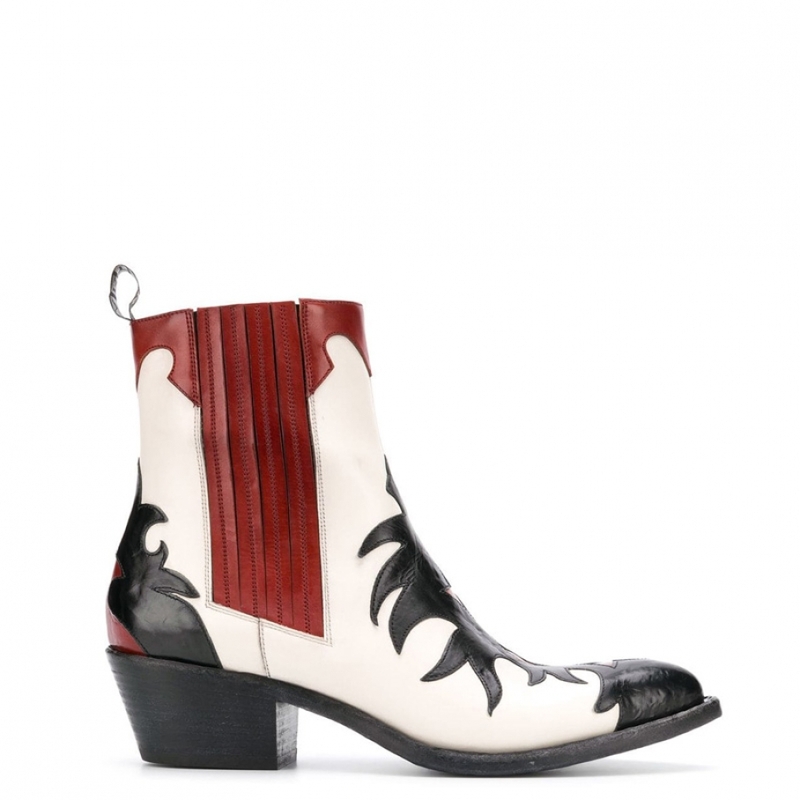 Colors black, white and red. Heel 4cm.